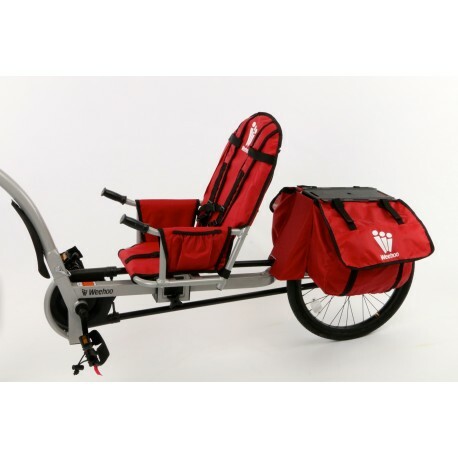 The variant with luggage rack and extra large luggage bags. iGo Venture so far 499,00 € now at the special easter offer of 419,00 €. The offer is limited in time. The variant of the Weehoo trailer for the big tour, with luggage rack and extra large luggage bags. 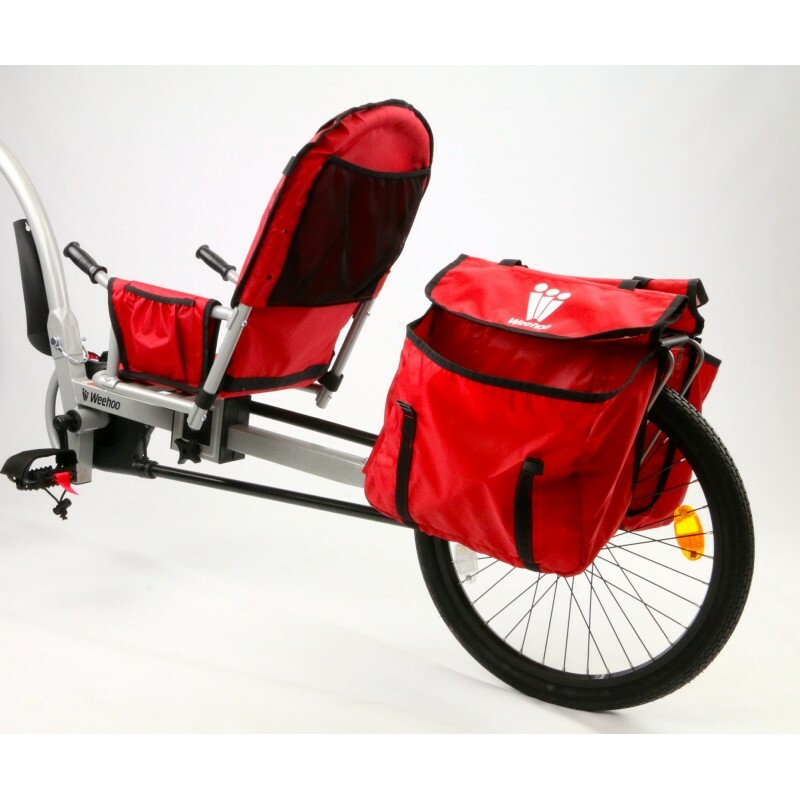 Comfortable seat including padding and 3-point safety belt. Foot straps prevent the feet from slipping off the pedals. 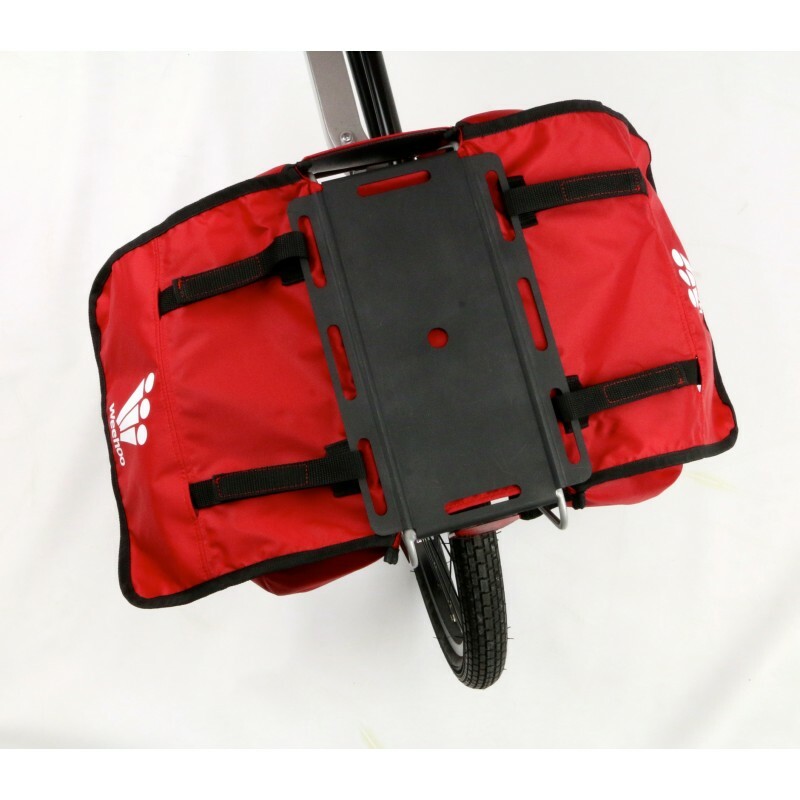 The seat is easily removable for transport. The coupling on the seatpost is compatible with most bicycles. 6 adapters for seatpost diameter 25.4 / 26.8 / 27.2 / 28.6 / 30.9 / 31.6 mm are included. 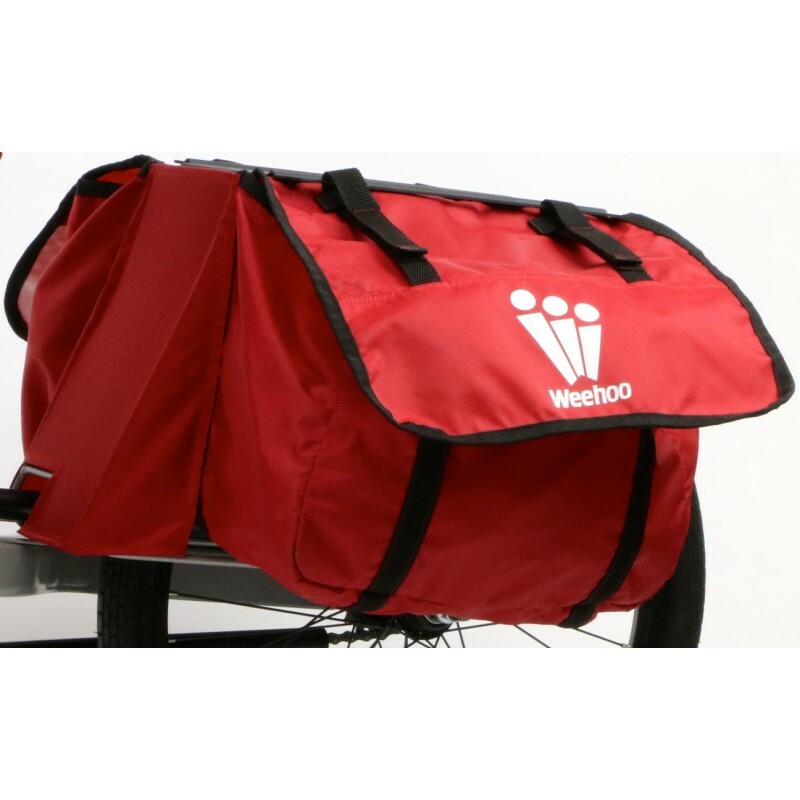 With luggage rack and extra large side pockets (2 x 20 liters), the iGo Venture offers plenty of storage space for large tours or shopping. Other compartments are located in the seat. 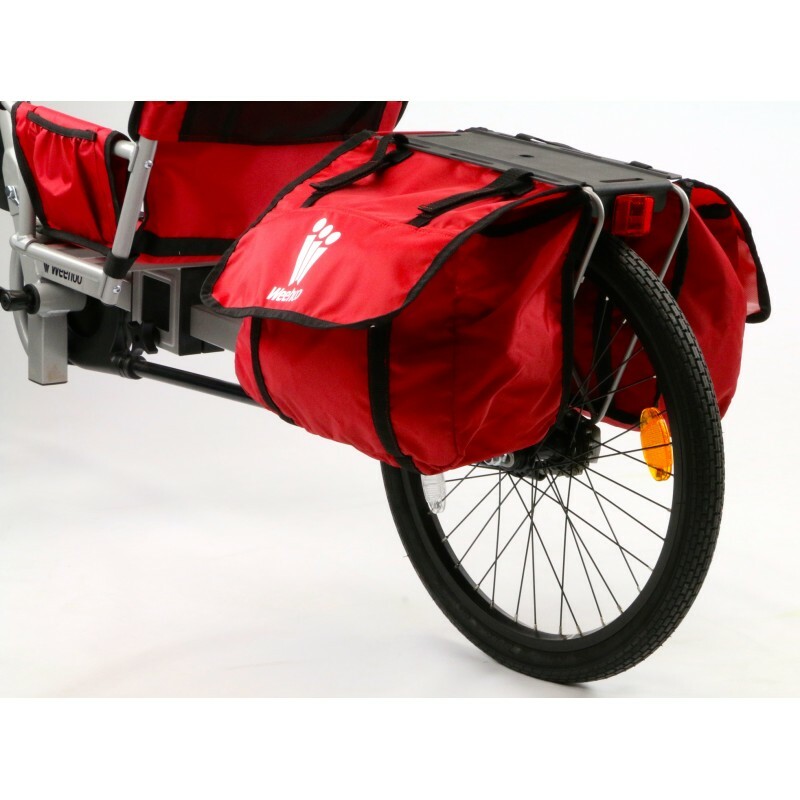 Fits also with (almost) all carriers - Panniers can be taken also with attached Weehoo.